What is it about Italian genre film making of the 70’s and 80’s that makes it so attractive? There is just something about those movies that I find irresistible. Yes, they run the gamut in terms of quality from all-time classics to utterly atrocious, but they have a distinct look and feel to them. They also seemed to have cornered the market on ripping off other movies, from blatant remakes to unofficial sequels, whose connection to their predecessors is tenuous at best. Then there are the times where they rip themselves off. There are the likes of Zombi 2 (made as a sequel to Dawn of the Dead), Alien 2: On Earth (somehow this is supposed to be connected to Alien), and Star Crash (a clear attempt to cash in on Star Wars), then you have Dr. Butcher, MD, aka Zombie Holocaust. 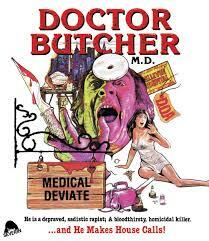 Dr. Butcher, MD, was released back in 1980 and was directed by Marino Girolami, and comes pretty close to cannibalizing a fellow Italian genre film. It even goes so far as to steal the other movie’s star, Ian McCulloch. 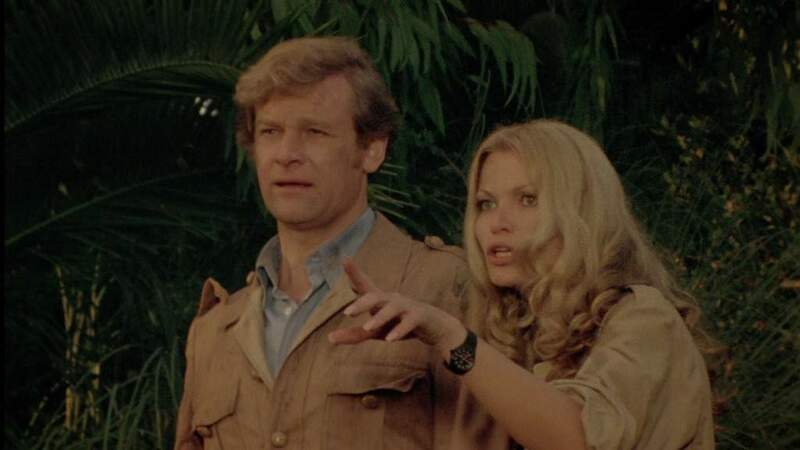 For those of you wondering what movie it was that was ripped off, it was mentioned in the first paragraph, none other than the classic Zombi 2 (you may know it better here in the States as Zombie). No, they aren’t exactly a carbon copy of each other, but it almost feels like the writers watched Zombie and decided to make their own version of it. It is interesting to note that the story is credited to Fabrizio De Angelis, who produced Zombie! The screenplay is credited to Romano Scandariato, who also worked on the screenplays of Death Smiles on a Murderer and Emmanuelle and the Last Cannibals. No matter which title you prefer, the movie was a hit when landed on 42nd Street in 1982, but despite some effective moments, it is very much a take it or leave it. I enjoy the sheer campiness of it. The movie feels rushed and on a much smaller budget than Zombie had, and it shows. Still despite its shortcomings, I really am entertained by it. From the mannequin being thrown out the window (watch the arm pop off when it lands!) To the reshoots that look like Fall in upstate New York masquerading for the jungle, to the evil doctor’s bone saw that isn’t spinning at all, and don’t forget the crazy dialogue! And that doesn’t even touch on the movie having both zombies and cannibals! The movie may not be particularly good, but I feel it deserves a spot on your wall of Italian genre greats. I love how it so closely mirrors the plot of Zombie. I love the sheer cheesiness at play, the crazy dialogue. This may not seem like much of a review, but I wish to extol the virtues of this movie. It will never stand next to the greats, but it sure is a lot of fun.